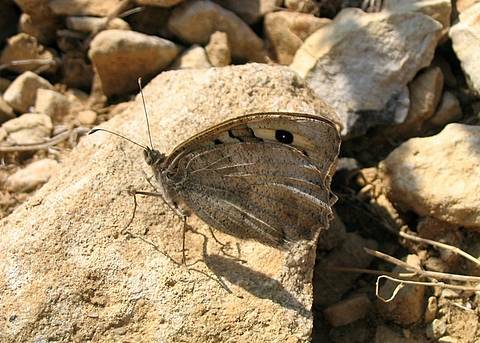 This is a fantastic butterfly and it was a real pleasure to observe it for the first time in Provence in July, 2005. 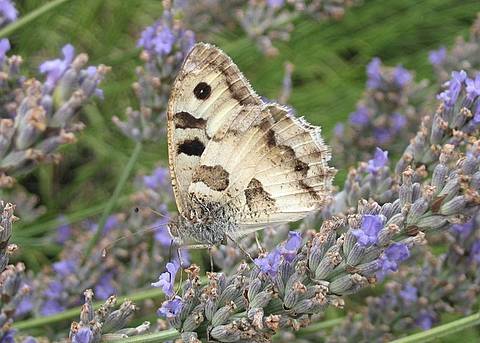 It is one of the species which has reputedly suffered the worst decline in recent decades; once reported from much of mainland France it is now only found regularly in the south-east. 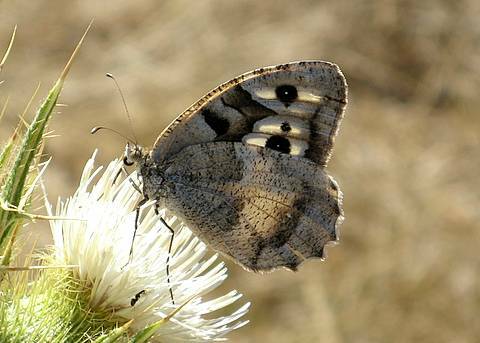 It is quite a large butterfly with uppersides that resemble those of the Great Banded and Woodland Graylings but its flight pattern is somehow distinct from these species...it's a rather 'cleaner' and more precise mover. 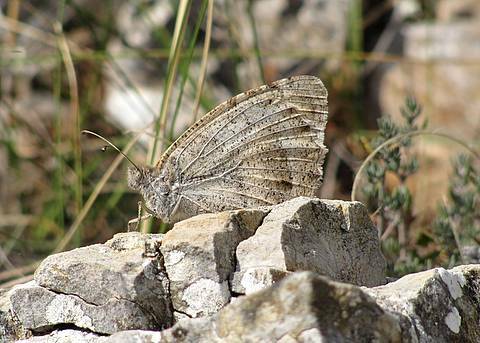 The hindwing undersides of the sexes are completely different. The ground colour of the male is basically a smoothish cream colour with two heavy dark brown smudges in the basal area and a dark postdiscal line also. 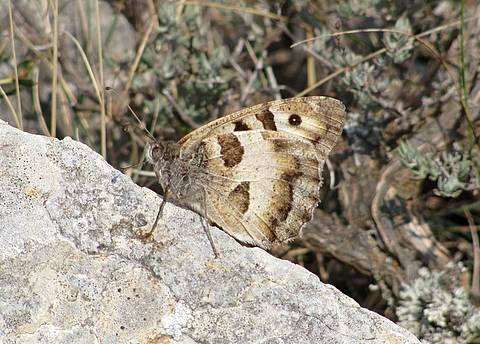 In the female these markings are mostly absent and there is a more or less uniform, sandy coloured ground colour with a grainy feel. She is superbly camouflaged when resting on bare earth and stones.